to help teach his first Mayan calendar workshop in Minneapolis, Minnesota. and had media coverage by the TV show Strange Universe on Canadian television. Author, Mayan-calendar specialist, researcher, storyteller, wilderness guide. and our ego to pass from darkness into Light giggles innocent child.". The Living People call him Richard Alan of the family Eagle. Some of his childhood memories are: being with his father who requently met with Native American elders for coordinating social services for downtown Minneapolis neighborhoods; being with his grandmother, who built and operated a nursing home, with him witnessing hospice nursing care up-close. He attended high school: St. Anthony Village, Minnesota, 1969-1975: Assistant Editor of the school-newspaper; President of the Concert Choir, wins 4-star rating at the 1975 Minnesota State High School Vocal Competion; Supporting Actor in school theater plays and Lead Actor in the 1975 production. 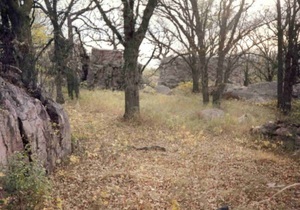 He attended colleges: (1975) The University of Minnesota, Minneapolis (where his grandfather managed the experimental gardens); (1976) ITT Minnesota School Of Business, Minneapolis, Minnesota; (1977-78) Bemidji State University, Bemidji, Minnesota. In 1978. he visited Aspen,Colorado, for a summer spiritual retreat; and one day he participated with a group of eleven other people for a whitewater rafting trip on the Colorado River, with all becoming extremely sun-burned. "Our sun-burned rafting group members are in prayer just before our nightly bible study, when a powerful energy-field of divine love and joy suddenly materializes, overwelming us all. After a minute, the bliss-energy subsides and someone shouts out that his sunburn is gone. As we all look around we realize all twelve of us with sunbirns are healed; we have no trace of the serious red skin-burns. I am still amazed at what happened that night." For him, that miraculous group healing experience is a major life-changer. In 1979, he moves to Aspen, Colorado, for two years, then returns to Minnesota in 1983. In 1984 he gathers his poetry into his first book, Cash Action: The Great American Game. In 1987, he begins studying The Mayan Factor: Path Beyond Technology by the-late-DR. JOSÉ ARGÙELLES. 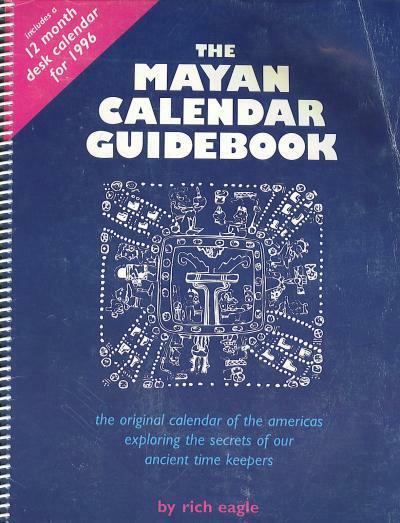 In 1989. he creates his first Mayan calendar class and with it the first edition of The Mayan Calendar Guidebook, a study-guide with combined Mayan-and-Gregorian calendars that becomes a yearly publication. In 1991, he is visited in Minneapolis by Willard van de Bogart, a close friend of the-late DR. JOSÉ ARGÙELLES. Willard tells Richard that José confided in him. Willard stated, "JOSÉ said to me, that, 'Of all the people he knew of, besides his wife Lloydine, that you have the best understanding of his Mayan calendar research'." Willard then presented to Richard with the first pre-production DREAMSPEL kit, along with a hand-written note from JOSÉ , with the words, "Keep up the good work." 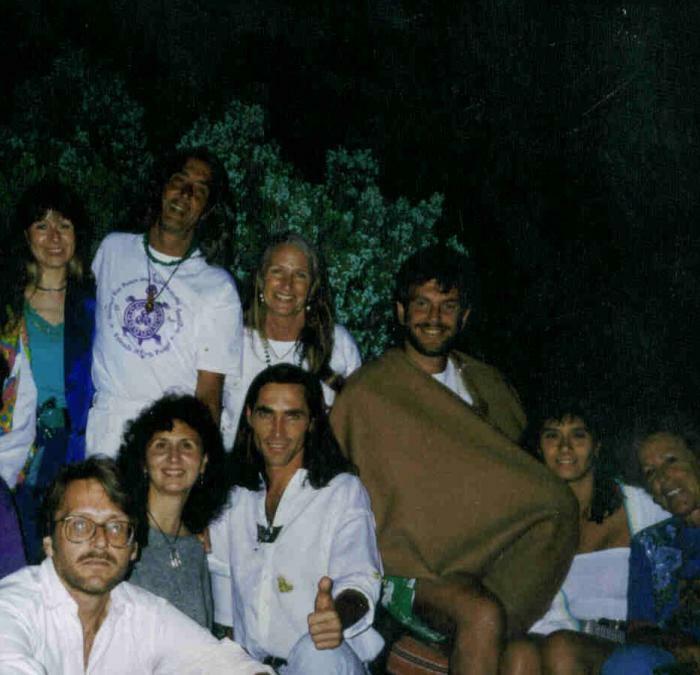 After moving to Sedona to be with Sheri Richards, they travelled together and he taught his Mayan-calendar-and-DREAMSPEL classes in: Phoenix, AZ, Mount Shasta, CA, San Francisco, CA, Sacremento, CA, Santa Barbara, CA, Salt Lake City, Durang,CO and Atlanta, GAo. He taught his first Mayan-calendar-and-DREAMSPELL class in Sedona. The day after the class he has the most powerful spiritual moments of his life while out hiking with a friend in Long Canyon. I am sitting on a high rock-ledge perched dangerously above the Long Canyon valley at sunset, when a total silence and-peace quiets the entire valley around me. All I can hear is the ringing in my ears, the sounds of my own body. Suddenly I notice far-off in the valley below bushes moving from a strong gust of wind that then flows towards me. The wind rises-up the knoll to blow right thru me, deep into my heart and soul, extemely powerful spiritual energies, leaving me in a state of perfect peace, divine love and grace. After a minute the birds begin to sing again and bugs reappear, as I sit there dazed in bliss. After a few minutes a total silence and peace quiets the entire valley again. Then I see another gust of wind flowing through bushes in the valley that then rises-up the knoll to blow right thru me again but deeper into my soul, with triple-strength power, filling me completely with perfect peace, divine love and grace. I sit there dazed in bliss and unable to move, until it became dark and I saw stars in the sky so I head back-up to the trailhead. For the first wind cleanses and the second wind fills. After leaving Rachel's Knoll, I arrived at a dinner party attended by my workshop participants, that night being my last night in Sedona. I knock on the front dor, someone answers and says, "Can I help you?" No onerecognizes me at first. My facial features had transformed, and I was unable to talk with them until the bliss subsided hours later." This sacred place is not on the tourist maps. 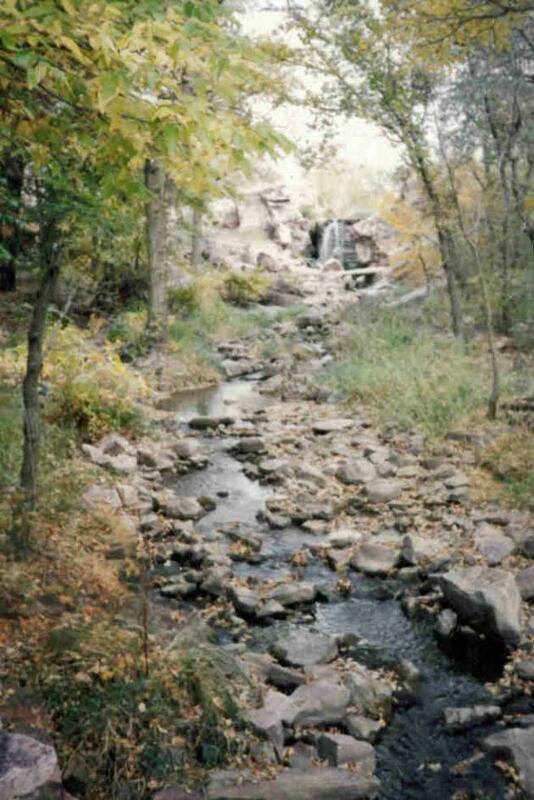 Rachel's Knoll location is on top of a canyon knoll within the Seven-Canyons-Golf-Resort. For a visit to Rachel's Knoll, politely ask permission from the guard at the resort front gate. He worked as a Jeep-tour guide for Sedona Adventures. 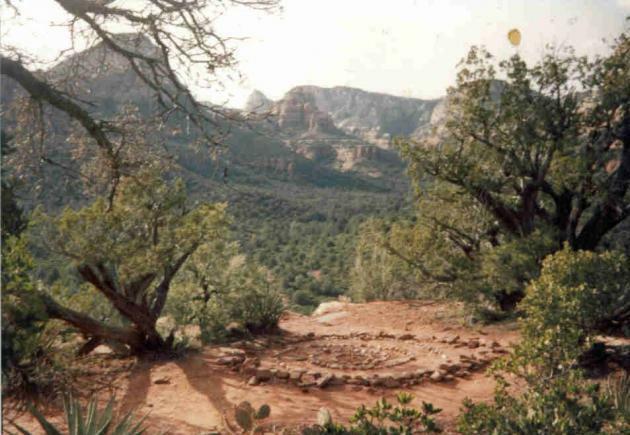 For him, guiding tourists around Sedona's famous energy vortex locations and sacred sites was a dream job. Richard front-left; DR. JOSÉ ARGÙELLES and his wife Lloydine are top-left-center in white. In 1994, he travels to New Mexico to give his Mayan calendar presentation in Santa Fe, and at the Whole Life Expo in Albuquerque,.. In 1995, he creates a new full-color-version of The Mayan Calendar Guidebook, complete with color-charts and a spiral-binder. In 1997, he begins using the Guatemala-highlands Maya count-of-days, after realizing that the Yucatan-lowlands Maya count-of-days, used by the-late DR. JOSÉ ARGÙELLES is miscounted by 55 days, as of 1997. For the Yucatan-lowlands Maya count-of-days miscount began hundreds of years ago and is in misalignment with the rising and setting cycles of the planet Venus. He also begins developing his own 'approach' to the Mayan calendar, focusing more on the major and minor cycles of the Mayan time-cycles rather than in regard to just the meanings and interpretations of the 20 daysigns, which can vary widely in useage and meanings throughout the Maya regions of Central America. 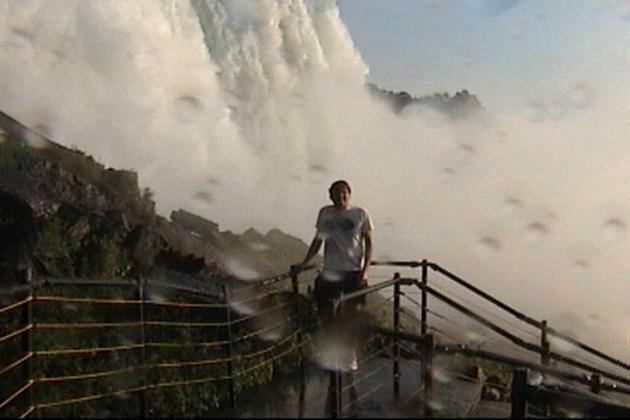 Two years earlier, in the summer of 1995. he has two other deeply moving spiritual experiences and adventures. "On a blazing-hot summer afternoon, September 25, 1995, while skinydippin' alone along the wilderness banks of the Verde River, near Clarkdale, Arizona, I wade up the river quite a long way, exploring huge river-rock sandbars when my eye catches a glimpse of a shiny golden-tan seven-inch-thick sandstone rock resting upon a large sandbar. 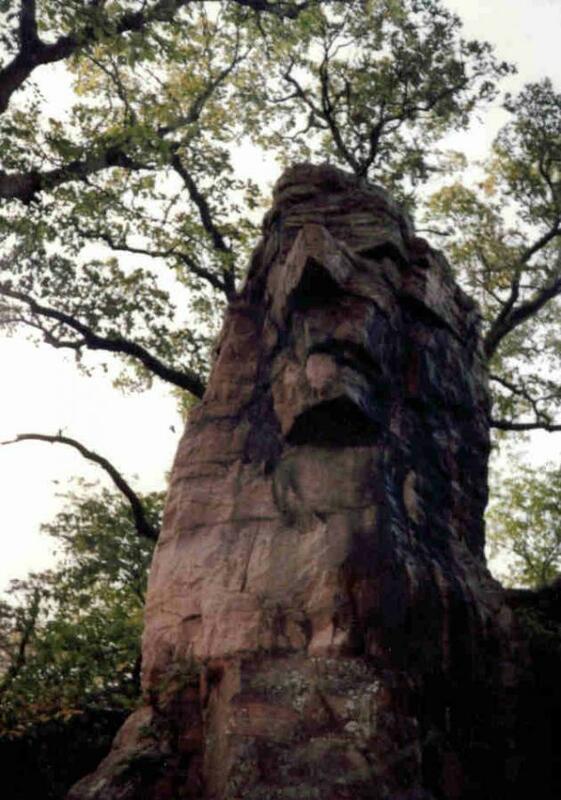 On the flat-surface of the rock are natural quartz crystals that...wow!...formed an outline image of a near-perfect Hopi kokopelli flute player! Overwhelming powerful emotions overtake me, stunned by the rocks' natural features and beauty. I lift up the heavy stone and begin to carry it downstream. After a hundred-yards or so the rock suddenly 'reveals itself' to me its true POWER! I understood-inwardly that 'THIS is a very special ceremonial stone icon, as its holder feels GREAT power. As I wade along knee deep in the crystal clear waters, splashing in sunlight innocence, suddenly a feeling arises of wanting to KEEP the power stone 'all for myself'. But, my heart turns heavy with thoughts: 'I am NOT worthy of it'...NO!...YES!...NO!...Yes?? And finally: the realization dawns on me that this is a 'medicine stone', along with the heart-moving revelation of in whose hands the stone wanted to be with. I return to my living quarters and the sacred stone icon 'gave itself' to my closest friend: camping buddy, life mentor, and spiritual brother, James Flynn, for that day was James' birthday. Weeks earlier, we both were out exploring a difficult to climb side canyon of the Verde River valley and came upon what looked like a bear cave. We climb up to it. 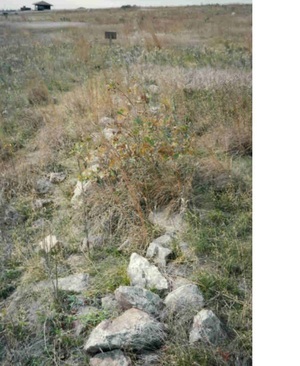 A small rock with a bear outline scrapped onto it lay next to the cave opening and dead wood logs for blocking the cave entrance were scattered about. We cautiously crawl-up inside the 4-foot-round cave opening. After standing up inside, in the darkness we notice a thin shaft of sunlight shining down from above, through an upside-down ice cream cone-shaped spiral opening in the cave ceiling. As our eyes adjust, James spots a small 3-foot oval opening at the bootom of the back wall in the 8-foot-deep cave. We had no flashlight so he lights some scrap paper on fire and crawls up inside, disappearing upward into a tight 30-degree incline shaft. James' hidden voice calls to me from the darkness to join him. After my fears subside I bend down and slowly crawl on my hands and knees, in utter darkness, up a narrow passageway that slopes upward fifteen-feet. A flame again is lit, revealing the hidden womb of a large 15-foot cave. 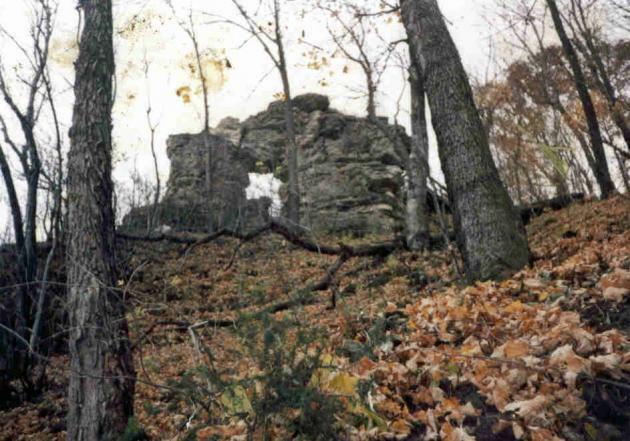 We see antlers and candles on a rock ledge, leading us to believe that this is a sacred ceremonial cave. There was just one old graffitti name and date, from decades ago, scrawled on a corner wall. The cave is so far up a nearly inaccessable side-canyon and way off the hiking trails, that tourists can't find it. 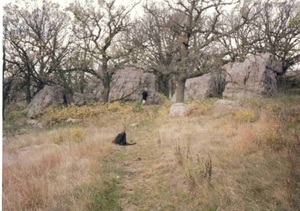 When facing the antler alter, to our right was a connected 10-foot-long side room with a Mayan-like angled rounded-V ceiling and flat rock benches hewn from the rock walls on each side. On the ceiling, mud had been pasted: and on the floor are specific spots to place candles. We had no more paper to burn so we slide back-down the narrow passageway 'birth canal'. From this place, we emerged from the Earth back into the world. 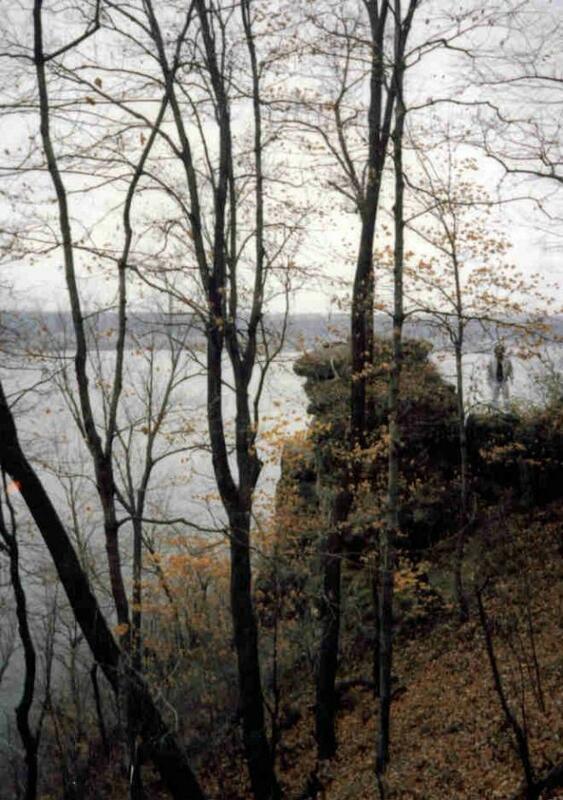 James returned to the cave a few weeks later with a flashlight and candles and stayed overnight. Laying on the cave floor in a sleeping bag, with candles placed in those exact candle-holder spots, he saw that the mud on the ceiling formed a trail-map of the entire canyon region that could only be seen by candle light shadows while laying on the floor. I am blessed with the friendship of many Native Americans of many nations; and, especially in Sedona, the Navajo-Diné elder the-late DAVID SILVER BEAR JOHNSON. The first day I met Silver Bear I tell him about that cave, and he says, 'Yeah, that's our cave, Bear Cave. I tell Silver Bear about the perfect shimmering golden-sandstone Kokopelli rock and how I regret carrying it off, that maybe I had stolen a Hopi ceremonial stone. Silver Bear just laughed and said, 'IF someone left-it-there, then just remember that someone once gave it to them, or maybe they just found it too, like you. Maybe the stone was waiting for you. No one OWNS a rock! Rocks like to move around and visit, just-like us. And then you gave it to someone else, so they were supposed to be-with it next. Don't worry about it! The rocks go wherever they want to. I also ask Silver Bear about how the Hopi elders, like the-late GRANDFATHER TITUS, measured time, knowing the Hopi use the 260-day calendar. Silver Bear replis, 'Well, we go to Prophesy Rock with string and measure. But now, I use your-charts too." 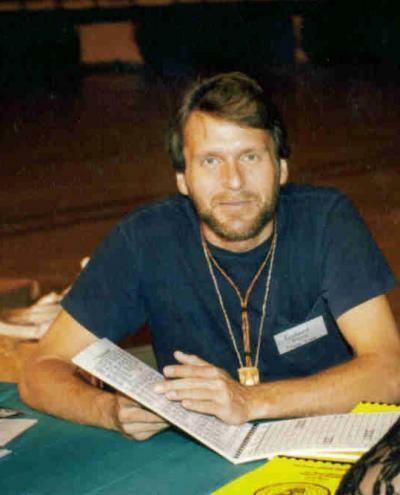 In 1998, Richard is a copywriter and graphic designer for a Sedona tourist magazine. While out delivering the magazines one day, he spots a stranded Jeep at the main Sedona Post Office and offers to help the driver, Susan Hawkins. As a thank you, Susan later mails to him a copy of her husband's book, Power vs Force, by the-late DR. DAVID R. HAWKINS. Also in 1998, he realizes the 12-note musical scale octave and musical tones are exactly correlated to each day of the Mayan calendar: each day,, each 13-day Week, each 20-day Month and each 13-Year cycle of the Mayan calendar. In 1999, he presents this discovery of "The Musical Code To Time", as documented by a news story in the Sedona Red Rock News. In 2000, he is the hotel manager of the Wildflower Inn in Sedona, and later the hotel manager of the Kokopelli Inn, now named the Days Inn Kokkopelli Inn, owned and operated by the Hopi nation. For he is humbled to be with the Hopi on their Mesas on multiple occassions. "Mitakuye oyasin...Blessings to the Hopi Eagle clan and all clans. My life is dedicated to The Living People, The Peaceful One Titus and Diné elder Silver Bear, and all Sacred Rainbow Beings of The Sacred Hoop. Peace and Love in All Generations, Divine." In 2000, he moves to Ohio and is the General Manager of two health food stores for 10 years. In 2001, he is diagnosed with stage-three cancer, needing four major surgeries and endures the near-loss of sight in his right-eye that he is still recovering from. In 2006, he realizes that the clinically-proven Map of Consciousness, by DR. HAWKINS, is exactly correlated to the 260-day Mayan calendar cycles, resulting in a correlation of both force and Power pulsation-cycles and their 'potentials' for each day. In 2012, he moves back to Sedona, Arizona, and opens his own retail store, Save Your Health Now. "The leading-edg and parameters in the fields of 'natural holistic health' today is clinically-proven to be a four-fold interconnected balance of physical-emotional-mental-spiritual well-being. With the assistance of our inner Holy Spirit Love, together-with utilizing tools like the timings of the Mayan calendar cycles, a person can understand and use the natural flows of time, using the most accurate calendar in the world, to facilitate moving ones own un-balanced life-forces back into a natural-state of balance, harmony and well-being." In 2013, he moves back to Ohio. 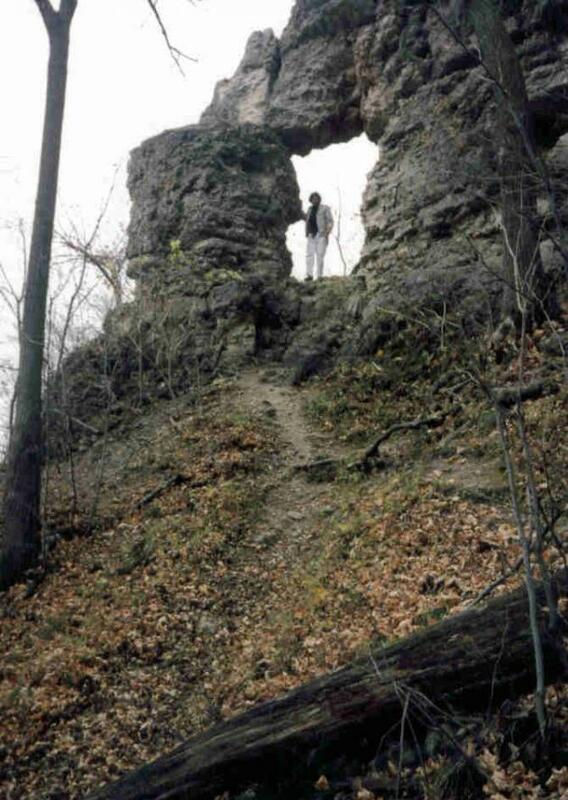 In 2015, he publishes his second book, Stonehenge of America: Blue Mounds State Park, his true-life-account of discovering at Blue Mounds State Park in Luverne, Minnesota, at the eastern end of an ancient quarter-mile-long east-west alignment of blue quartzite rocks in the park, a hidden ancient natural rock amphitheater, with a special sitting ledge upon which to view the sunrise on the first day of spring and autuum. In 2015, he also publishes his third book, MERRY HUNTERS CLUB a fictional drama-romance short novel originally written as a screenplay, that includes real-life events presented as storylines embedded within the adventure. He has by grace witnessed seven major miracles and over twenty "unexplanable" events, which reminds him daily how powerful and miraculous life really is. "The apple tree in our backyard bears fruit in its season. Some apples appear on low branches, some in the middle and some at the very top. Some apples are in dark places, while others bask in The Light. Some ripen sooner than others, some are diseased, and some are rotten to the core. And a few are Perfect, yet only for awhile. But, All are Equal, by Being Alive, because All are ON the same tree. We are All ON the same Tree, the Tree of Life, Holy Sisters and Brothers, a Holy One." Now, by grace, he shares with love the Ancient Ones Dreamtime Sacred Hoop, The Calendar of the Americas, the 260-day Hero Journey on the One Holy Sacred Path of Eternal Perfect Love and Peace, by inspiration from Within. Seek and Find Thee, True Love and Perfect Peace. the most current now-time research of Richard Alan Eagle. meandering thru both Wilderness and Heavens. An old-saying: After ecstacy, the laundry.